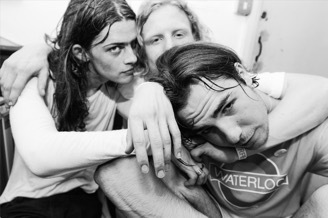 Canvasback Music and Atlantic Records have announced the signing of Blaenavon. The Hampshire, England-based band will make their label debut with the new single, “My Bark Is Your Bite.” The track arrives at all DSPs and streaming services on October 3rd. 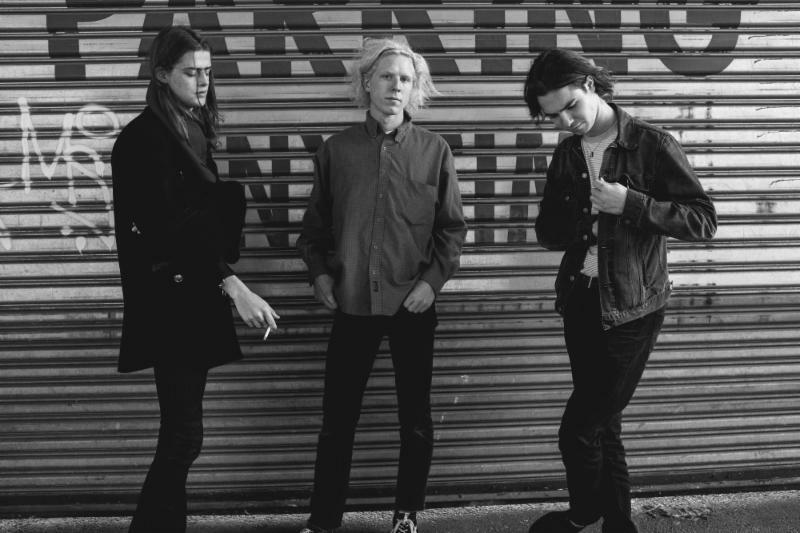 “My Bark Is Your Bite” precedes Blaenavon’s full-length debut album. Produced by Jim Abbiss (Arctic Monkeys, Adele, The Orwells), the as-yet-untitled collection will arrive in spring 2017. Blaenavon have headlined countless dates across the UK while also sharing stages with the likes of Foals, Bloc Party, Songhoy Blues, Alvvays, DIIV and Warpaint. The band have played an array of major festivals, including Glastonbury, Latitude and Reading & Leeds. Canvasback Music/Atlantic recording group Blaenavon has announced the release of their debut album. “THAT’S YOUR LOT” – which includes the breakthrough single, “My Bark Is Your Bite” – arrives everywhere on Friday, April 7th. Produced by Jim Abbiss (Arctic Monkeys, Adele), “THAT’S YOUR LOT” will be available for pre-order beginning today, Friday, January 13th, with all pre-orders accompanied by a download of the album’s new single, “Orthodox Man,” also available that day at all DSPs and streaming services. A longtime fan favorite and live highlight, “Orthodox Man” is accompanied by an equally powerful companion video. Directed by NYC-based filmmaker Francesca Consarino, the clip received its world premiere yesterday Thursday, January 12th, exclusively via Stereogum. November saw Blaenavon make their New York City live debut with a pair of acclaimed shows in Brooklyn and Manhattan. Recently named to DIY‘s “Class of 2017,” Blaenavon will celebrate “THAT’S YOUR LOT” with their first ever full scale North American tour (soon to be announced), accompanied by European dates supporting Two Door Cinema Club. For complete details and tour updates, please visit blaenavon.com/#tour. Blaenavon recently wrapped a tour of their home country by selling out London’s famed Scala – the trio’s biggest headline show to date. In addition to countless headline dates across the UK, the band has shared stages with the likes of DIIV, Foals, Warpaint, and Bloc Party, Blaenavon has also lit up an array of UK festivals, including Glastonbury, Latitude, The Great Escape, and Reading/Leeds. Canvasback Music/Atlantic recording group Blaenavon has announced a busy schedule surrounding the April 7th release of their debut album. Produced by Jim Abbiss (Arctic Monkeys, Adele), “THAT’S YOUR LOT” includes the explosive singles “My Bark Is Your Bite,” “Let’s Pray,” “I Will Be The World,” and “Orthodox Man.” “THAT’S YOUR LOT” is streaming now at TK. Blaenavon will return in the spring for their first-ever full scale North American tour, to be announced soon. The Hampshire, England-based band is currently traveling Europe on their biggest tour thus far, including a major U.K. headline tour, festival dates, and a series of shows supporting Two Door Cinema Club in Belgium, Austria, Germany, Luxembourg, Switzerland, Czech Republic, France, and the Netherlands. For complete details and tour updates, please visit blaenavon.com/#tour. Hailed by DIY as “the Hampshire lads’ most immediate moment to date, “Orthodox Man” is streaming now at Spotify and all leading streaming services. Possessing “the hearty anthemic tendencies of Frightened Rabbit with a suave metropolitan touch akin to Morrissey,” the track’s equally powerful companion video premiered exclusively on Stereogum last month. WATCH “ORTHODOX MAN“The Guardian recently debuted the band’s remarkable cover of Elliott Smith’s “Everything Reminds Me Of Her,” released in support of the Campaign Against Living Miserably (CALM) and its new “Torch Songs” celebration. The recording is streaming now on their official YouTube channel. Canvasback Music/Atlantic recording group Blaenavon has unveiled a new track and companion video from their highly anticipated debut album. THAT’S YOUR LOT arrives on Friday, April 7th. An indisputable highlight of THAT’S YOUR LOT, “Alice Come Home,” is a show-stopping anthem that captures all of Blaenavon’s striking emotional power and sonic energy. The track is available now at all DSPs while also streaming at blaenavon.com. “Alice Come Home” comes joined by a live video, filmed at 4 in the morning last November, following their first-ever headline US headline date at Brooklyn’s Baby’s All Right. The clip is streaming now at the band’s official YouTube channel. Produced by GRAMMY® Award-winner Jim Abbiss (Arctic Monkeys, Adele, Bjork), THAT’S YOUR LOT includes the singles “My Bark Is Your Bite,” “Let’s Pray,” “I Will Be The World,” and “Orthodox Man,” all available as instant grat downloads with album pre-orders. A thrilling collection of intensely personal and powerful songs written throughout Blaenavon’s not-so-long-ago teenage years, THAT’S YOUR LOT is a fully realized milestone in its own right, as well as a classic debut album that suggests extraordinary heights yet to come. Blaenavon will be making a number of major festival appearances, both here in North America and around the world. Announced highlights so far include Lollapalooza (August 6th) and Osheaga (August 3rd-5th). Further festival announcements will be made soon. Blaenavon made a triumphant return to Austin, TX’s South By Southwest (SXSW) earlier this month following their official U.S. live debut at last year’s event. Thursday saw the band performing four shows in eight hours, including two packed Transgressive Records showcases, a House of Vans show, as well as a showcase at the outdoor Sound Dessert party that ended with Gregory dropping his guitar and diving fully clothed into a pool. In the meantime, Blaenavon has just set out on their biggest U.K. headline tour thus far, with virtually all dates fully sold out. The trek comes hot on the heels of a well-received series of shows supporting Two Door Cinema Club in Belgium, Austria, Germany, Luxembourg, Switzerland, Czech Republic, France, and the Netherlands. Canvasback Music/Atlantic is excited to announce that Blaenavon’s debut album is out today April 7. Produced by Jim Abbiss (Arctic Monkeys, Adele), THAT’S YOUR LOT includes the singles “My Bark Is Your Bite,” “Let’s Pray,” “I Will Be The World,” “Orthodox Man,” and “Alice Come Home.” A thrilling collection of intensely personal and unutterably powerful songs written throughout Blaenavon’s not-so-long-ago teenage years, THAT’S YOUR LOT is a fully realized milestone in its own right as well as a classic debut album that suggests extraordinary heights yet to come. The Hampshire, England-based trio Blaenavon has just set out on their biggest U.K. headline tour thus far, with virtually all dates fully sold out. The trek comes hot on the heels of a well-received series of shows supporting Two Door Cinema Club in Belgium, Austria, Germany, Luxembourg, Switzerland, Czech Republic, France, and the Netherlands. The band will also be making a number of major festival appearances, both here in North America and around the world. Announced highlights so far include Lollapalooza (August 3rd-6th) and Osheaga. Further festival announcements will be made soon. Blaenavon made a return to Austin, TX’s South By Southwest (SXSW) last month following their official U.S. live debut at last year’s event. Thursday saw the band performing four shows in eight hours, including two packed Transgressive Records showcases, a House of Vans show, as well as a showcase at the outdoor Sound Dessert party that ended with Gregory dropping his guitar and diving fully clothed into a pool. For complete details and tour updates, please visit blaenavon.com/#tour. 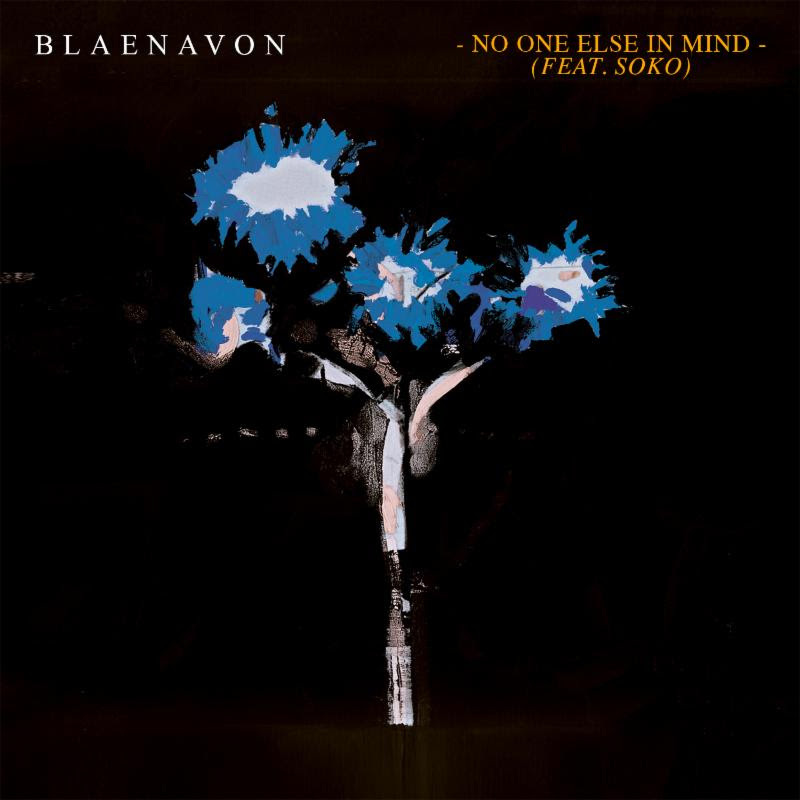 On Thursday, May 4 the premiere of Blaenavon’s “No One Else In Mind” Feat. Soko was on Interview Magazine. The track is currently available on iTunes, Youtube, and Spotify. 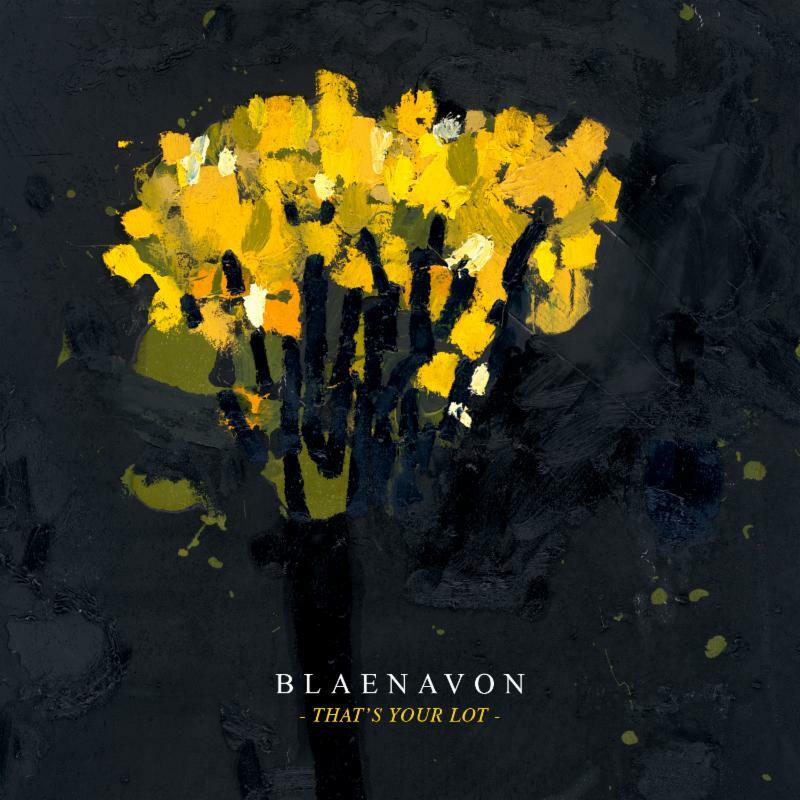 Blaenavon released their debut album on That’s Your Lot on Transgressive Records on April 7. The band shortly after announced a series of North American tour dates this summer along with festival performances. For updates please see blaenavon.com.